Today, it’s all about the hands. 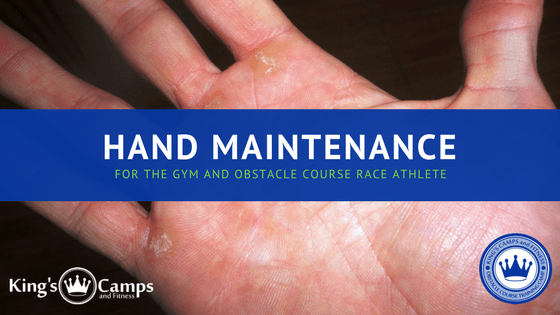 In the video below, Coach Mike King, of Kings Camps and Fitness, discusses tips on hand maintenance and how best to take care of your hands–whether you’re a gym athlete or an obstacle course (OCR) racer. If you’re gym athlete, your hands tend to take a beating due to the constant gripping of barbells, dumbbells, and pull-up bars. Overtime, you will develop calluses to help you bear the discomfort of constantly handling these gym equipment, but first you have to develop them! After consistent gym work, you will develop hard-earned calluses, but then–gasp! 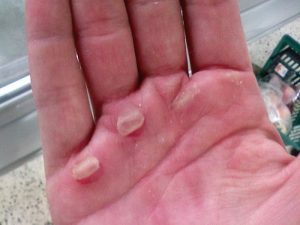 You’ll notice points on your palm will yellow, your calluses will become cracked and unsightly, and at some point they will rip or tear while you are in the middle of an epic clean or pull-up. Lucky for you there’s a simple solution to help your hands not only look good, but also perform well. As an obstacle course racer, your hands are constantly being put to the test as you swing from bar-to-bar, ring-to-ring, and scurry over and across walls. In the sport of obstacle course racing, grip strength and hand condition can make the difference between succeeding on an obstacle or failing that obstacle. And failing an obstacle as an elite athlete can mean losing your race. Like the gym athlete, you demand much from your hands. You train countless hours in a gym, and then you get outside and put your training to the race, err, test. Having a hand rip or tear while crossing the monkey bars either in training or during a race has huge implications for not only your training regime, but it also holds health concerns as during a race your raw open skin will come into contact with unsanitary, dirty water and thousands of other people’s handprints across countless obstacles. So, what is obstacle course racer to do? There are two steps you can easily take to ensure your hands are in the best shape possible for both the gym, obstacle training, and any race or competition. Combined, these steps define hand maintenance. 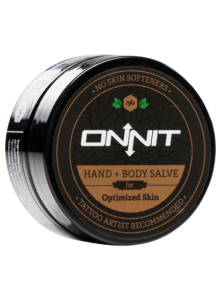 Whether you train in the gym for fun, Crossfit competitions, or obstacle course racing, you’ll need to invest in a quality non-drying, non-softening hand salve to use on your hands after the gym. Using standard creams and lotions will dry your hands and just cause further cracking, as the lotion will soften and penetrate below the, which will cause them to tear faster. 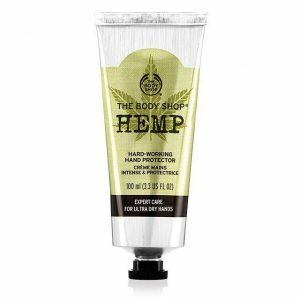 I recommend using salves such as the Body Shop’s Hemp Hand Protector, Onnit’s Hand Salve or Burt’s Bees Hand Salve as these provide your hands with the nourishment they need, without softening your hard-earned calluses because they provide essential oils such as hemp, coconut, almond, olive and other oils to the hands without drying them or softening them. Thus, you will be ready for your next encounter with the bar or the rings. We recommend using these products after every gym or training session where the hands have been at work. The second step of good hand maintenance is to shave them regularly. 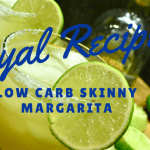 Does this sound crazy?! It might–but it’s an important part of maintaining your calluses and ensuring they don’t tear or rip on you. 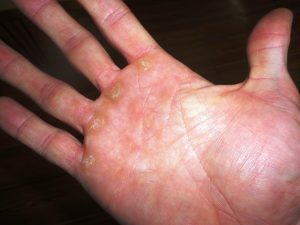 If you have a buildup of calluses, they are easily identified by cracking skin, flaking skin, and the yellowing of the skin surface at your palm just where your fingers begin. This is the area that you want to shave down so that you remove any high spots because it is the high spots that will get caught on bars, rings, and walls causing them to rip from your hands. 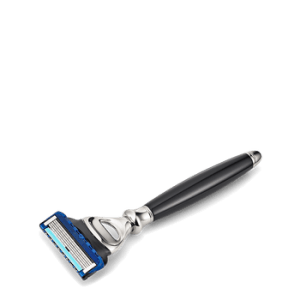 Be sure to use a standard men’s razor–not a lady’s leg razor–for this task as men’s razors typically have stronger blades. 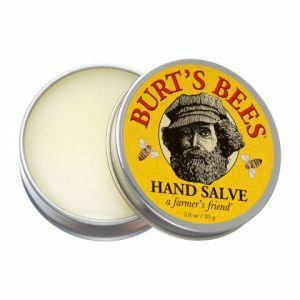 Depending on how much buildup you have, the first time that you shave your hands you want to be sure to take it easy. Be sure to extend your hand pulling your fingers backwards, and then gently bring the razor from the top of the callous (bottom of the fingers) down across the callus. Use gentle movements. The thicker the calluses you have, the more pulling you will feel on the razor. 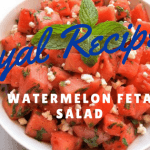 Be sure not to try to dig in, but instead let the razor do the work. For hands that have gone untreated for some time, you will need to make two or three passes at a calluses and then wait a day or two before returning for another shaving session. You will notice after shaving your hands that the calluses now have a flat, smooth look to them. This is an indicator that you removed some of the tough skin’s surface and have successfully performed good hand maintenance. I recommend shaving your hands once a week if you are training regularly, or anytime you notice the white sluffing of skin on the tops of your calluses. Following these steps is not a guarantee that you will never rip your calluses; however, it decrease the possibility, as well as decrease pain in your hands while using gym equipment or playing on obstacles. If you have any questions let us know in the comments below. See you in the gym and at the races!